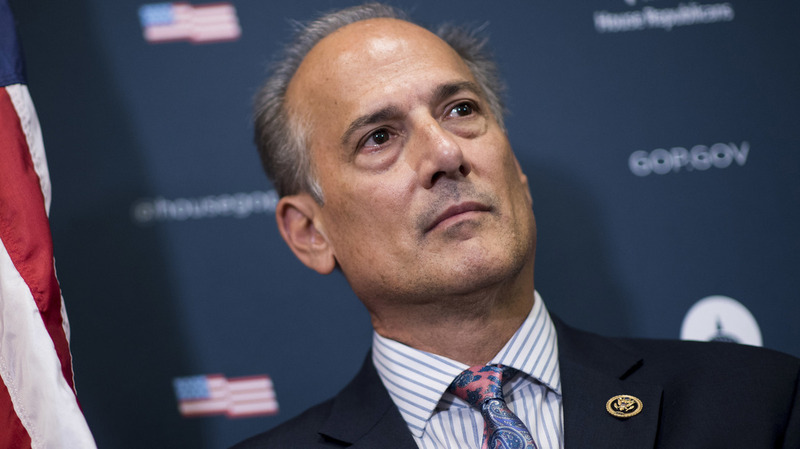 Rep. Tom Marino, R-Pa., was blamed in media reports for sponsoring a bill that the Drug Enforcement Administration had warned would hamper its ability to limit America’s deadly opioid crisis. Rep. Tom Marino, R-Pa., has withdrawn his name from consideration as America’s drug czar, President Trump said Tuesday. Marino is stepping back days after reports that legislation he sponsored hindered the Drug Enforcement Administration in its fight against the U.S. opioid crisis. A joint report by The Washington Post and 60 Minutes found that Marino’s measure “helped pump more painkillers into parts of the country that were already in the middle of the opioid crisis,” as NPR’s Kelly McEvers said earlier this week. The bill had been opposed by the DEA and embraced by companies in the drug industry. As NPR’s White House Correspondent Tamara Keith notes, Marino’s withdrawal leaves the Trump administration without nominees for several important domestic roles, including drug czar, the director of the DEA, and secretary of Health and Human Services. Marino was a main backer of the Ensuring Patient Access and Effective Drug Enforcement Act; among other things, the measure changed the standard for identifying dangers to local communities, from “imminent” threats to “immediate” threats. That change cramped the DEA’s authority to go after drug companies that didn’t report suspicious — and often very large — orders for narcotics. After the Post and 60 Minutes report, several members of Congress called for the White House to pull Marino’s nomination as drug czar. Manchin has co-sponsored legislation that would repeal the changes made by the 2016 law, along with Sen. Claire McCaskill, D-Mo., and Sen. Margaret Wood Hassan, D-N.H.
“We’ve obtained internal memos, emails, other documents from the DEA and from the Justice Department that show that the DEA and the Department of Justice for many years was opposed to this. They had written memos. They had written emails saying this is going to upend our ability to go after these companies. Why are you doing this? And Marino had introduced this legislation in 2014, and the DEA got it killed; and in 2015, and the DEA got it killed.